I've long been intrigued with earlier generations' ideas of convenience. 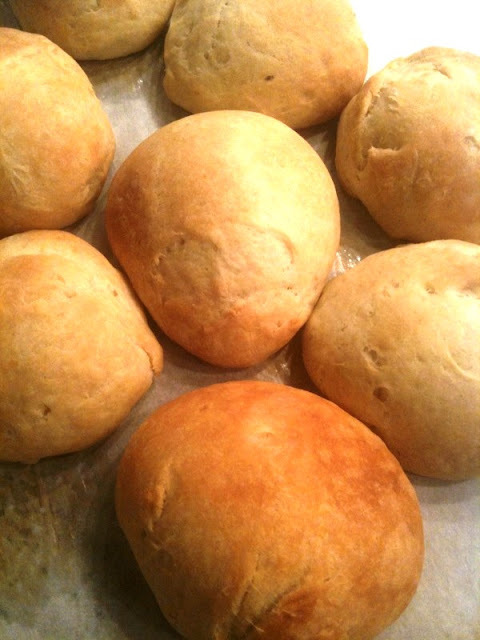 Like, before dinner rolls could be instantly "popped" from a cylindrical container purchased at the supermarket, what did people (i.e., women) do to make putting dinner on the table easier? One way -- and it seemed quite popular in the 1930s and 40s judging from the dozens of recipes I found -- was by having "refrigerator" dough at the ready. 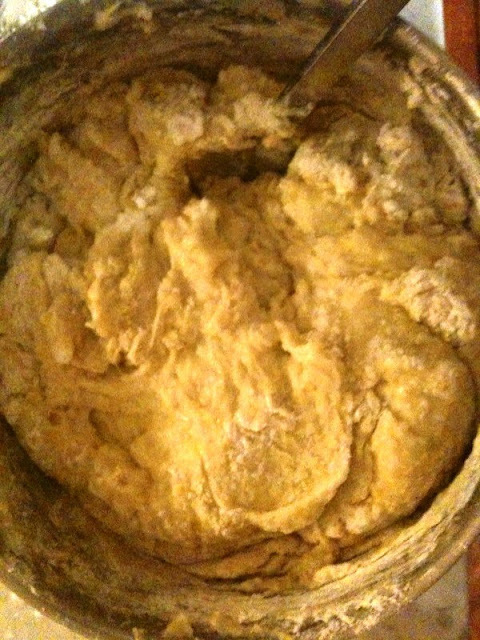 This dough -- leavened with yeast or baking powder, or sometimes both -- was simply mixed together and stored in a bowl in the refrigerator. When rolls were needed for the dinner table, or luncheon sandwiches (or cinnamon buns, for that matter -- this is a very versatile batter!) 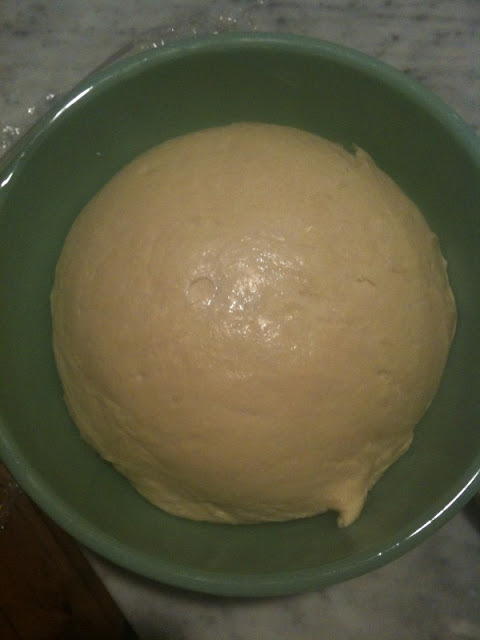 the amount of dough required was pulled from the refrigerator, shaped into the desired form, left to rise for an hour or so and popped in the oven for 15 minutes. Voila -- fresh, fragrant and convenient. A few days ago, I made "Refrigerator Rolls," from a recipe pasted in a large scrapbook I bought in a thrift store in Akron. (They are attributed to Ida Zepp, and a line at the bottom of the recipe notes: "These rolls were served hot at Ida's announcement party, May 1, 1937.") Like many of the yeast roll recipes from the era, it calls for mashed potatoes. I'm not sure whether potatoes are added for flavor or texture, as a way to stretch the dough economically or simply as a waste-not-want-not way to make use of leftovers. Whatever, these are delicious -- my husband and I had fresh rolls every day for nearly a week (but had to stop eating them, lest we start to resemble the Pillsbury Doughboy). 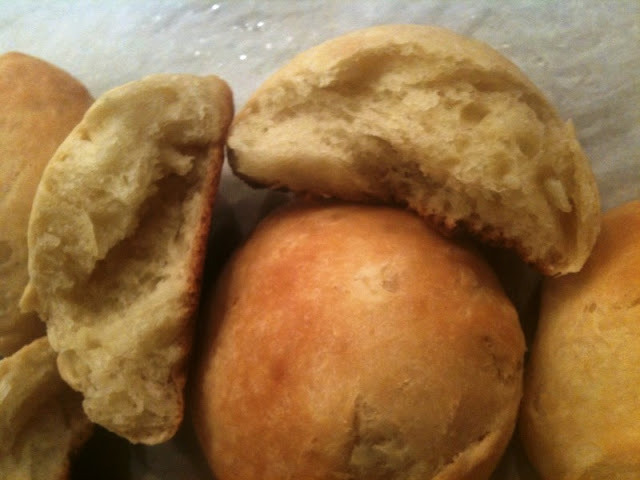 Speaking of which, refrigerator rolls like these (but more specifically the southern biscuits made with baking powder) are the precursors to today's supermarket staple. Supposedly in 1930, a baker in Kentucky sliced and stacked unbaked biscuits, wrapped them in foil and placed them in cardboard tubes. 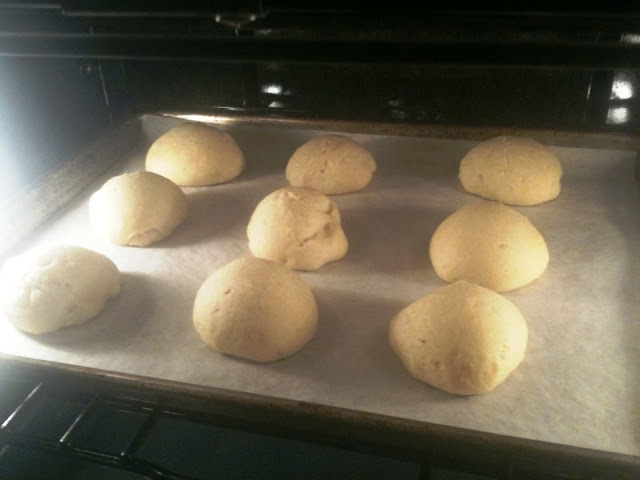 When the compressed dough was removed from the icebox, it "exploded." He sold the process to Ballard and Ballard Flour Company and Pillsbury bought it from them in 1952. Susan: Let me know if this is legible; if not, I'll just type it up (which I should do for everything). Thanks for writing. Just wondering - since I try really hard not to use shortening in any recipes... Has anyone tried these using butter or oil in place of the melted shortening? Thanks for writing, Kathleen. I only use butter, never shortening in any of these recipes. I've discussed that somewhere on this blog, but I guess I should do it with each post. I don't even think Spry is made anymore and Crisco has changed it's formulation such (making it 0 transfat) that a lot of really accomplished bakers claims it ruins the finished product, as its baking properties have changed. Me, I just like butter anyway, so it was never an issue. I sub the exact amount of butter for shortening in each recipe.